The way we buy and sell art has changed over the last decade, with virtual galleries and emerging technology boosting online sales. It's not, however, all plain sailing for online art entrepreneurs. The sector is becoming increasingly over-crowded and there are growing concerns of cyber-criminals targeting online art dealers. Across the globe, there has been a significant rise in privately-owned art galleries. Many private art collections in countries such as France, US and China are also now open to the public, and they are fast-replacing the traditional, publicly-funded galleries. The UK's private gallery expansion has been a lot slower and moderate, which may be due to the country’s rich history and heritage of public galleries and museums. Online galleries have also been gaining popularity with advancing technology leading to a spike in online sales. This has fueled a somewhat promising future for virtual galleries. The traditional high street art gallery is also being challenged by new and innovative spaces, attracting a different type of clientele. Overall, it's a very dynamic and interesting time for art entrepreneurs to break onto the scene. Often one of the main challenges of running an online business is finding a connection with your customers and suppliers. It seems, though, that virtual galleries are not only connecting gallery owners, artists and customers, they are also offering avenues for emerging artists and first-time art buyers to connect with established artists, sellers and buyers. However, running a virtual gallery is by no means a new concept. In fact, the sector is now becoming saturated and growth is slowing. Web-based artwork sales reached approximately £3.2 billion in 2017, which was a 12% increase from the year before but this is significantly lower than the 24% annual growth rate experienced in 2015. The main issue holding back the online art trading industry is price transparency, with many online galleries stating 'POA' for most high-end artwork. Seasoned art buyers are accustomed to price confidentiality, however, 90% of new buyers stated price transparency is a top priority when buying art online. Despite growth slowing and predictions that the online art world will consolidate, there is still huge scope to succeed in selling art online. Entrepreneurs can benefit by paying fewer overheads and enjoy running a business from the comfort of their home. Investing in new and innovative technology is imperative to make your virtual gallery stand out in an over-crowded marketplace. The key to selling art and being successful boils down to knowing who your customer is and how to attract them. For example, if you're renting an old factory or warehouse to sell artists' work, you're likely to attract a younger, street-art-savvy crowd who would be willing and keen to purchase art from emerging artists at a lower price range. The more traditional galleries nestled within a community high street will be better suited to an older clientele that have a bigger budget and are keen to buy a unique piece from a more recognised and established artist. Art is a very subjective purchase, though, which makes owning a business in this sector interesting, and somewhat risky. Reaching out to new customers is vital to keep your business afloat. Instagram alone boasts almost a billion users and it has become a great tool to reach out to new consumers and scout for new talent to showcase in your gallery too. If you are planning to operate online, you need to go into the business with your eyes wide open. 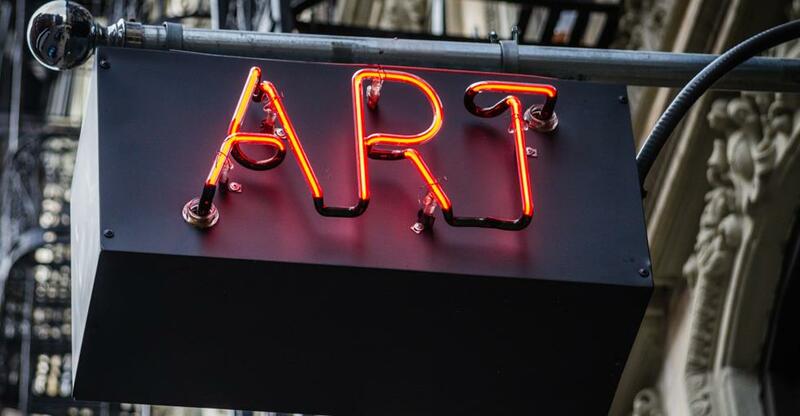 54% of art gallery platforms were a cyber attack target in the last year and roughly 15% of art buyers stated that the attack had been successful. Four in ten of online buyers expressed their concerns about cybercrime when they are buying art online, with 82% saying they were more likely to buy from online art galleries that they have already heard of or know due to a fear of being the target of cybercrime. 60% of online art dealers consider that the use of cryptocurrencies, such as Bitcoin or Litecoin, as a payment method, could be a positive way to tackle the issue of cybercrime within the online art world. Currently, only 7% of online art dealers accept cryptocurrencies as a form of payment. Finding the right art gallery to buy will help you to get up and running sooner. When looking for the right gallery to buy it is important that you consider both the physical gallery and the potential to create an online gallery space.